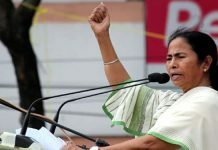 Kolkata: Chief Minister and Trinamool supremo Mamata Banerjee has termed the demise of former Prime Minister Atal Bihari Vajpayee a huge loss the nation and said that a statesman like Vajpayee is rare in the current-day Indian politics. On hearing that Vajpayee’s condition is grim, Banerjee took an early afternoon flight to Delhi to personally enquire about his health. Soon on landing at Delhi, she got the news of his demise at 5.05 pm. 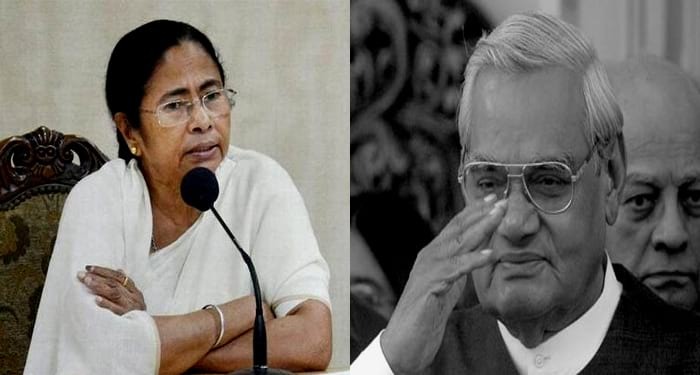 “Atal-ji’s behavior and style of functioning were very different from the present lot of BJP functionaries… I don’t see a statesman like Atal-ji in the political spectrum now,” Banerjee told reporters at Kolkata airport before taking the flight to Delhi. 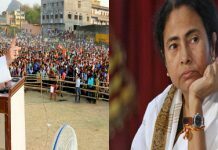 The Trinamool supremo recalled that soon after the birth of her party in 1998, she had extended external support to Vajpayee government. 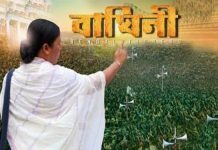 Then, in 1999, Trinamool joined the Vajpayee. “He had graced my house to meet me; I am indebted to him for this. We got an opportunity to work with him and stood by him like a pillar. I am reminded of the fond memories of that time. We still have a relationship with Atal-ji’s family,” she said.